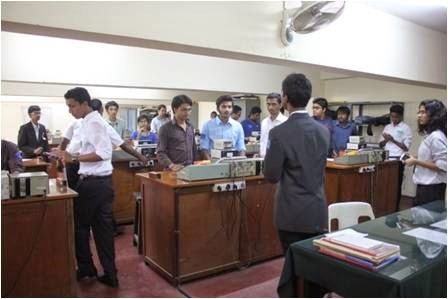 Circuit 2014, an intercollegiate Electronics fest was conducted by the Electronics Club on 19 August as part of Science Fest. Ten colleges from the city registered for the various events with more than 150 student participants. All events were limited to two teams per college with the exception of chart making, project exhibition and Treasure Hunt which were open events. The competitive events were Lecture, Circuit Analysis, Pot Pourri, Quiz, Chart Making, Treasure Hunt and Electronics project Exhibition, all related to Electronics. All the competitive events were organized and conducted by the organizing committee members of Electronics Club which comprises of two to five students from each class. The students made use of this learning opportunity and put in a lot of time and effort in planning and successfully conducting the events. Attendance was taken at specified timings for all students of Electronics in Sky View and submitted to the IPM department for updation. Mr. Kasinathan, Managing Partner, Advanced Electronic systems, Bangalore was invited as Guest speaker for the valedictory function. 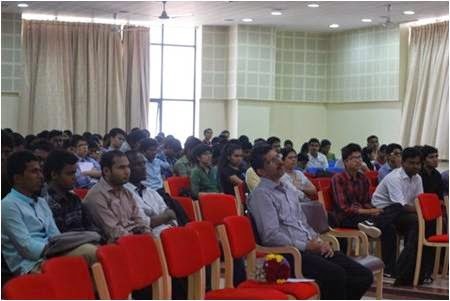 His talk on ‘Trends in Embedded Systems’ was informative and well appreciated by the students. 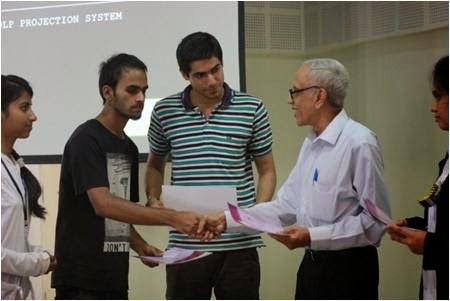 Certificates and cash prizes were distributed by the Guest Speaker. The program concluded with cultural program by the students. The Circuit 2014 fest was coordinated by Mrs. Hamsa K S.
A Report on Convergence 2014, The Annual Inter-collegiate Mathematical fest. Convergence, The Annual Inter-collegiate Mathematical fest organized by the Mathematics Association of Christ University (MACU), is an active forum that gives the opportunities to the young mathematicians to showcase their talent through different events enhancing the thinking skills and reasoning abilities. Convergence 2014 was the stepping stone to the path of knowledge and self-learning that served as the platform to the individuals with high intellect and interest in the field of mathematics. 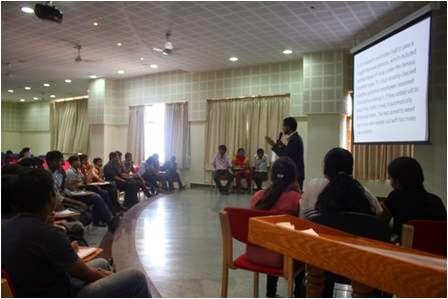 The fest was held on the 18th of August 2014 in which 15 colleges participated. It began with an inspirational video designed by the math students that built an envelope and understanding of mathematics in each and every part of our daily life. Events included Jam, Puzzles & Crossword, Lecture Contest, Dumb Charades, Group discussion Mathematical modeling and Quiz where each event evaluated a unique strength of the participant. Quiz and Jam finals that left the auditorium clapping with loud cheers on the astounding performance of the shortlisted participants. On one hand, Jam that works on the capability of immense concentration attentiveness and reflex action marked as a thriller, Quiz left each spectator running their mind over the thought-provoking questions. Dr. Shobha Begai, Associate Professor, Cluster Innovations, University of Delhi distributed the prizes to the winners and appreciated the participation and university arrangement and also inspired us all by her motivational words. Christ University won the overall trophy and Kristu Jayanti College was the runner’s up. Convergence 2014 marked a grand success behind which lies the hard work and devotion of the Mathematics Department and all the volunteers including the event heads and the Student coordinator. “Novatos” fresher’s day was organized in Christ University Faculty of Engineering on 22nd August 2014, in the open auditorium from 2:00pm to 5:00pm. This program was organized by the seniors for the first year students of B.Tech. The chief guest for the program was Rev. Fr. Benny Thomas (Director of Faculty of Engineering), and Rev. Fr. Antony Puthussery (Campus Coordinator). Novatos (fresher’s day) is basically a talent search for the first year students, where every class was given ten minutes time to show case their talent as a group or individual. All the 10 classes both from B.Tech and M.Tech participated in the program. As the first year students showcased their talent, the senior students also put up some of their show also. The much-awaited Media Meet 2014 started with zeal and fervour. The theme for this edition is Print Media. 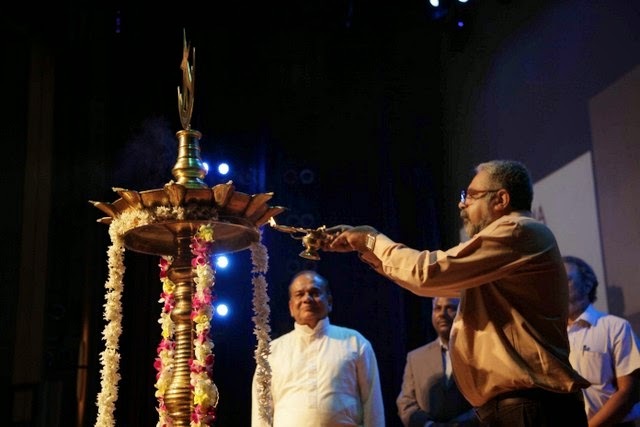 The programme began with an invocation song during which the dignitaries and the student coordinator lit the lamp. The chief guest for the event was Mr Hari Kumar, the Chairman, MD and the Editor-in-Chief of Prajavani and Deccan Herald. 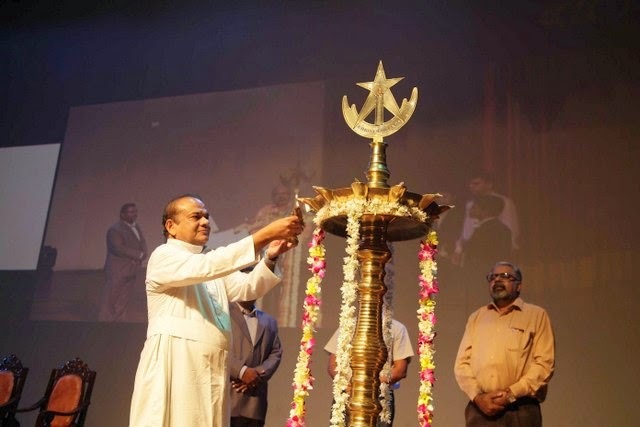 The event was also graced by the presence of Col Dr Rev Fr. Thomas C Matthew, the Vice Chancellor of Christ University and Dr. John Joseph Kennedy, Dean of Humanities and Social Sciences. In addition, the coordinator of Media Meet 2013, Vivek M, alumnus of the Department of Media Studies was also present at the inauguration. The inauguration was followed by the keynote speech by the uncoventional and quirky Suhel Seth, one of India's most admired marketing and Management gurus and a highly-regarded columnist. A man who has left his indelible mark on all spheres of media, be it visual, broadcast or print. 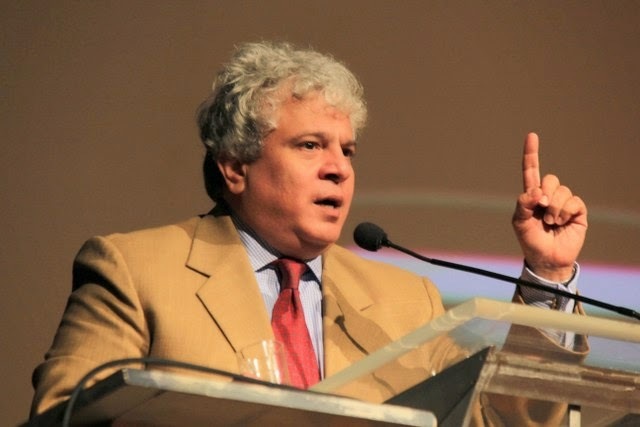 Suhel Seth enthralled the audience and provided them with food for thought while having them in splits. A three days National seminar on Print Media and Paper Presentation was inaugurated on 21st August 2014, to provide a platform for the students and the faculties across the country to voice their opinion and to learn from the experts in the field. The Chief Guest, Dr. Srikanta Swamy, Additional Director of Centre for Research at Christ university graced the occasion with a message to assimilate the media more responsibly. He stated that we are living in a world where media is influencing every aspect of our lives; especially in 3 phases the media has the direct influence on the population. Firstly, media is disseminating the knowledge to the people; secondly media is focusing on 'how' the things happen and finally media has the social responsibility of linking the common man with political, social and educational system. Athough media faces lot criticisms, it continues to play a vital role in disseminating information. He suggested that the benefit of the seminar should be throwing more light on the issues rather than more heat and less insight.